[ #SIGGRAPH ]CEO of Pinscreen (former research lead at Industrial Light & Magic/Lucasfilm) - Haoli has posted a video showing a novel method that automatically generates 3D hair strands from a variety of single-view input. 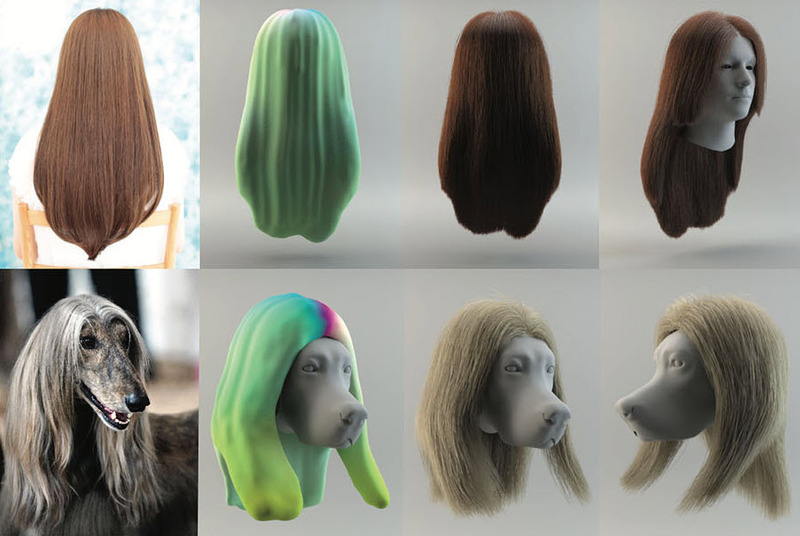 The method was originally described in a paper “3D Hair Synthesis Using Volumetric Variational Autoencoders” by Shunsuke Saito, Liwen Hu, Chongyang Ma, Linjie Luo, Hikaru Ibayashi and Hao Li. Each panel from left to right: input image, volumetric representation with color-coded local orientations predicted by The method, the final synthesized hair strands rendered from two viewing points. 3D Hair Synthesis Using Volumetric Variational Autoencoders will be presented as SIGGRAPH Asia 2018 Paper Video. More details can be found here!